For years, Koreans clung to the belief that kimchi – a spicy, fermented cabbage – has mystical properties that aid in warding off diseases. But what was once considered as an old wives’ tale now became a subject of serious research for scientists not only in Singapore but all over the world. 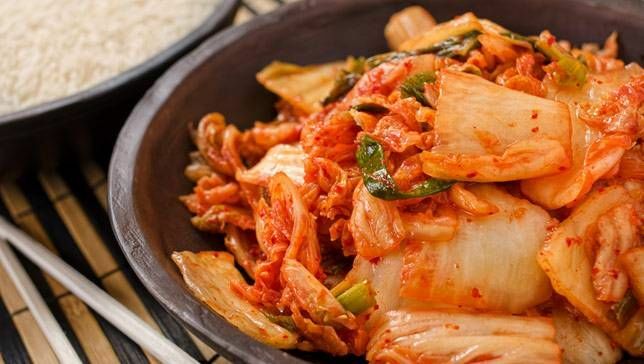 To help you get an idea about the “mystical properties” they’re talking about, we listed down some of the surprising beauty and health benefits that eating kimchi can bring. Since it’s fermented, kimchi is loaded with healthy bacteria known as lactobacilli, which helps in promoting good digestion. Another amazing result of the cabbage’s fermentation process is the development of probiotics, also helps in fighting off infections in your body. If you’re suffering from high cholesterol or high blood pressure, then the more reason to eat this touted Korean side dish. The garlic found in kimchi contains selenium and allicin – both of which helps in reducing the cholesterol reverses of the body. These substances also help in preventing plaque build-up in the artery walls, thus lowering your chances of experiencing cardiovascular diseases. Peptic ulcer is often caused by Helicobacter pylori, a bacteria commonly found in the stomach – and there’s no better way to keep this illness from recurring than eating a good amount of kimchi. The fermented cabbage contains leuconostoc mensenteroides that produces dextrin, a substance that halts the growth of H. pylori in your body. 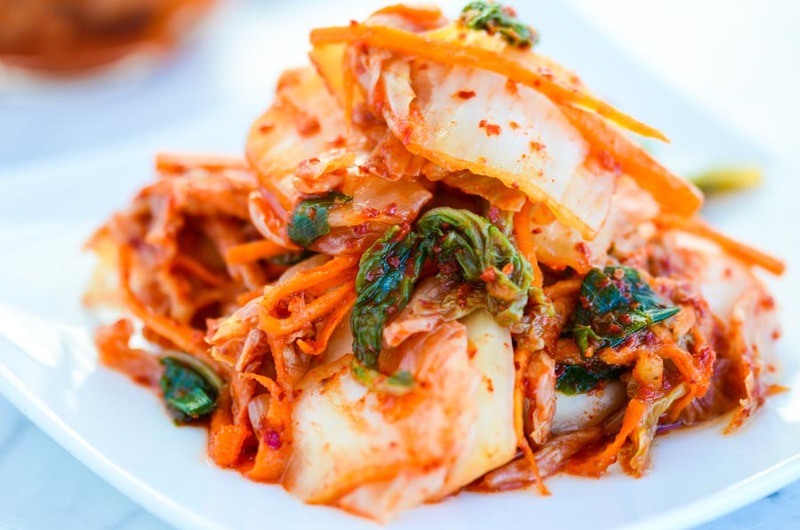 Not only does it improve your health, eating kimchi also helps in enhancing your overall appearance. The selenium found in the fermented cabbage is what keeps your hair and skin healthy, and prevents wrinkles from showing early on. Aside from that, selenium is also considered as a relevant part of glutathione – a booster that reconstitutes and preserves vitamin C, a crucial element for boosting the body’s immune system. Ever wondered why most Koreans look younger than their age? Well, the secret to that is eating kimchi. 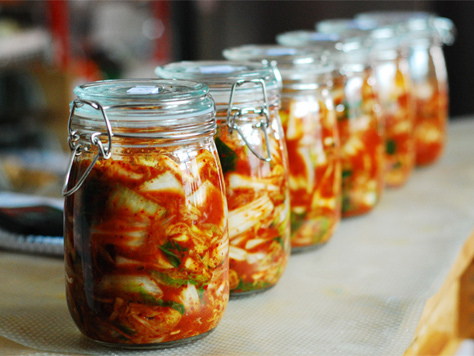 After being fermented for two weeks, kimchi becomes loaded with antioxidants that help decrease the rate of skin aging. It also prevents cell oxidation, making you appear more relaxed even if you’re going through a lot of stress. Aside from being an excellent side dish to your favourite Korean barbecue, these benefits are another reason for you to try and enjoy this famous Korean household dish. So head out to your favourite Korean restaurants and specialty stores now, and get yourself some good kimchi.